A number of circumstances and oral conditions affect the quality of an individual’s bone, from periodontal gum disease to an injury to the jaw to wearing dentures. Thus, when bone density is compromised, individuals may not have sufficient bone to support restorations such as dental implants. Fortunately, advancements in dentistry and oral surgery have made it possible to rebuild the bone through bone augmentation. According to the Mayo Clinic, by placing bone graft material to the existing bone in a patient’s jaw, the graft adheres to it and forms new bone. Surprising to some, bone grafting is a minimally invasive procedure that is performed in a single office visit with a periodontist or oral surgeon. In some instances, patients will also have tooth extraction during the same appointment, if necessary. Whatever the case, the process includes making an incision in the gum tissue, which exposes the jawbone. The graft material, which contains growth factors and collagen, is then attached to the bone, and the incision is closed with sutures. Remarkably, the newly formed bone replaces the graft material over the course of approximately 9 months, establishing a strong foundation for dental implants to be placed successfully. As mentioned, bone graft material provides a rich source of protein and other factors that promote bone growth. Yet, where does the bone graft material come from? Actually, there are several options for obtaining bone, and one of them is called an autograft. In this case, bone is taken from the actual patient, and might come from the chin, hip or shinbone. On the other hand, bone can also be collected from another person or cadaver through an allograft. Additionally, bone can be obtained through a xenograft procedure, which is usually from a cow. Finally, synthetic bone can be fabricated in a lab through an alloplast technique. Whether bone is harvested or developed in a lab, the bone graft material is meticulously processed and secured inside the dental office to be used for bone augmentation. As a trusted dental practice serving Elk Grove and surrounding areas, Ora Dentistry provides high-end care to patients using state of the art dental technologies. 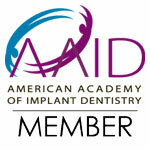 Are you a patient hoping to benefit from dental implants, yet you are concerned about having enough bone? You’ll be pleased to learn that Dr. Dalla provides a modern solution for building bone with an augmentation procedure that is simple and effective. To learn more, call Ora Dentistry today.